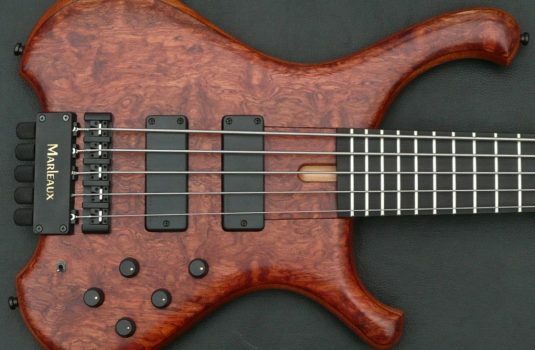 Here is a very recent masterpiece from the talented fellows at Fodera. 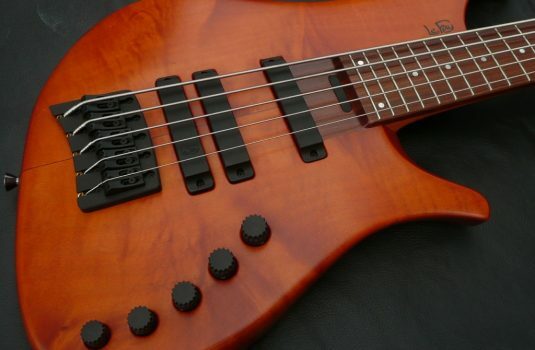 A lined fretless, 34″ scale for a really comfy feel. 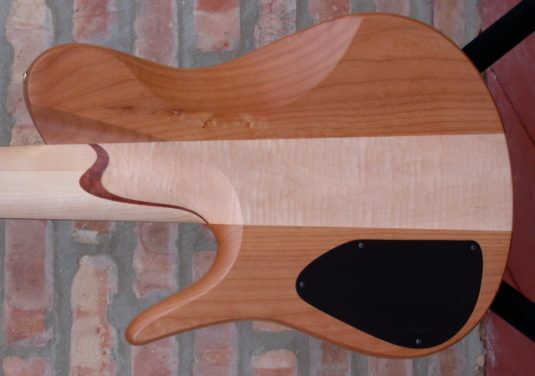 The body is select Alder, with a Flamed Maple center block. 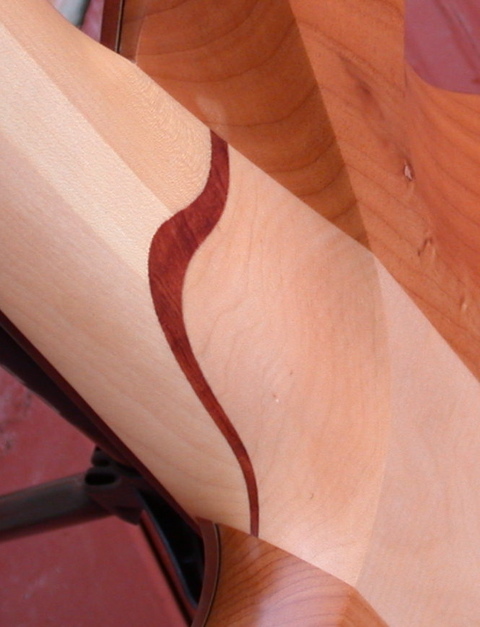 The top is Moabi – AKA figured Bubinga. 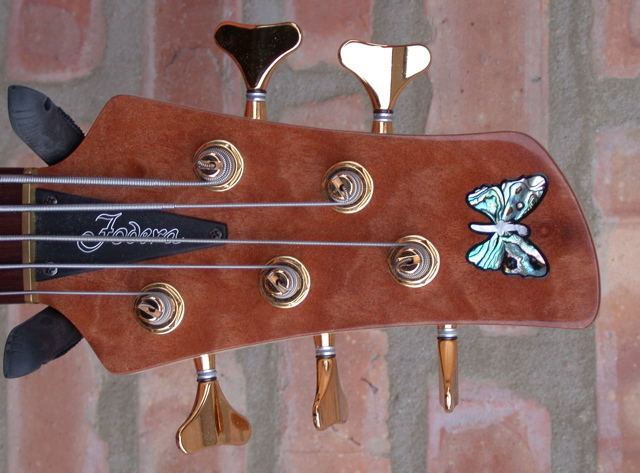 The fretboard is Kingwood, lined with fine Maple lines. 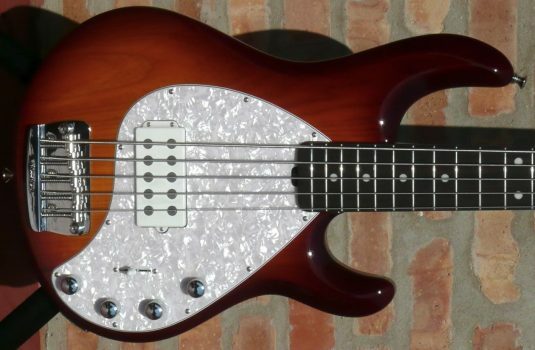 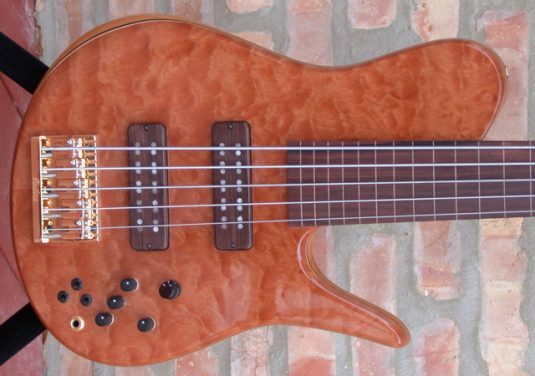 Like too many used fretless basses I see, this baby has seen little use – it appears to be like new. List for a new Fodera ordered just like this is $8,900. 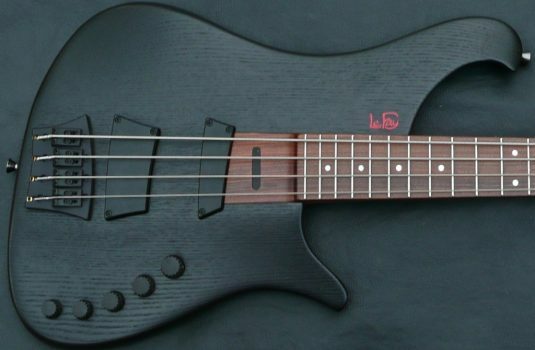 Wait time – a year or more.